Swami Agnivesh is the president of the World Council of Arya Samaj “Society of Nobles”, a Hindu reform movement, founded by Swami Dayananda Saraswati in 1875. He is also Chairperson of United Nations Trust Fund, President of World Council of Arya Samaj and Chairperson of Bonded Labour Liberation Front. Among Swami Agnivesh’s immense contributions is his championing of dialogue and peace activities, the anti-caste movement, liberation of bonded labour activities, a movement against alcoholism, and equal rights of women (such as their right to education and reading Indian scriptures). Swami Amarananda is the Director of the Centre Védantique in Geneva. 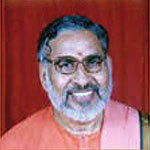 Shortly after receiving a Civil Engineering degree, he joined the Order of Ramakrishna in 1966. He sat on the Committee of World Faiths Development Dialogue (1998-2000), and the Interreligious Platform, Geneva since its inception. 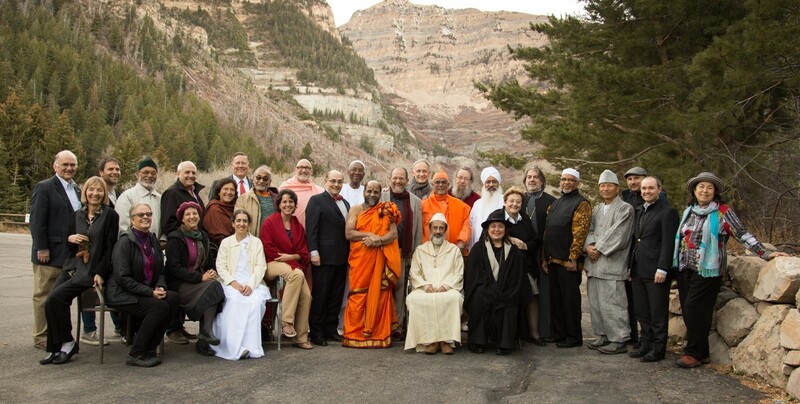 Swami Amarananda participated in European peace meetings under the auspices of Sant’Egidio and the Third and Fourth and Fifth Parliaments of World’s Religions. His printed works include Stories from Vedanta, Views from the Vedantic Window (in press), drama texts for use by children, and Biographie de Ramakrishna (co-author). Amma, as she is known all over the world today, has inspired and started innumerable humanitarian services. She has earned international recognition for her outstanding contributions to the world community. She is recognized as an extraordinary spiritual leader by the United Nations and by the people all over the world. 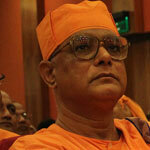 Swami Atmapriyananda is Vice Chancellor of Ramakrishna Mission Vivekananda University since 2005. Before becoming a monk, Swami Atmapriyananda completed his doctoral programme leading to PhD degree from the Department of Theoretical Physics, University of Madras, Chennai, Tamil Nadu, India, in 1975. Inspired by the ideal of renunciation and service as taught by Sri Ramakrishna, Sri Sarada Devi, Swami Vivekananda and the direct disciples of Sri Ramakrishna, he joined as a Brahmacharin (spiritual trainee) in 1978 at Ramakrishna Mission Saradapitha, Belur Math, the Headquarters of the worldwide organization, Ramakrishna Math and Ramakrishna Mission. H.H. Swamiji is the present pontiff of the world renowned Jain Shravanabelagola Math. 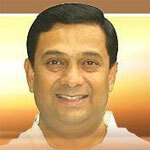 He studied Jain Philosophy in Prakrit, Sanskrit and Kannada and has an M.A. in History (Mysore University) and an M.A. in Philosophy (Bangalore University). H.H. Swamiji became a Jain Monk on December 12th, 1969 and ascended the Dharmacharya Peetha at Shravanabelagola Math on April 19th, 1970. He moved on to become the Chairman of The Managing Committee of Shravanabelagola Shrine. In 1947, Chandra Swami was initiated into the Usadin order by Mahant Girdhari Dassji. At the age of 35, he had the ultimate and integral realization of the Divine. In time he became a well-respected yogi in India and abroad. He wrote various books on Hinduism, such as “The Practical Approach to Divinity.” Even while observing complete silence for 13 years, he inspires people all over the world through his visits and written guidance. Pujya Swamiji is President and Spiritual Head of Parmarth Niketan Ashram, Rishikesh, one of the largest spiritual institutions in India. He is founder/chairman of India Heritage Research Foundation (IHRF), an international, non-profit, humanitarian foundation which runs and sponsors free schools, women’s vocational training programs, a medical clinic, orphanages/gurukuls, free medical health camps, “Clean, Green and Serene” programs, organic gardening programs, Cow-Care programs, an extensive rural development program, and innumerable other projects, including the first ever Encyclopaedia of Hinduism as well as ashrams and medical clinics in Tibet. He has contributed to numerous international, inter-faith summits, including the Millennium World Peace Summit of Religious and Spiritual Leaders at the UN, the World Economic Forum and dialogues initiated by the Vatican. Meditation and the President of the Interfaith Meeting Forum in Valencia (EEIV). Acharya Shri Shrivatsa Goswami comes from the family of eminent scholars and spiritual leaders at Sri Radharamana Mandir of Vrindavan. He is a leading figure in the Vaishnava tradition, representing the leadership of the Bhakti (devotional) movement, in a school dating back to the 16c. figure of Chaitanya. He has lectured at major universities worldwide, and toured extensively to participate in conferences on philosophy and religion. 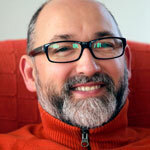 One of the focuses of his present work is the alliance of religion and conservation. 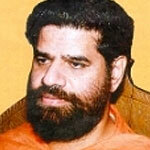 Karshni Swami Sri Gurusharananand is a leading spiritual leader from India. He heads the renowned Karshni Udasin Ashram at Ramanreti, Mathura, India. 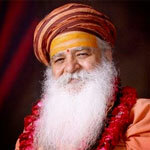 A great exponent of Indian wisdom tradition, he tours extensively around the world to propagate spiritual values. He holds a Phd in Indian philosophy from Benares Hindu University. For long he has been committed to interfaith dialogue and has institutionalised it as “Samvada”, an ongoing dialogue series. 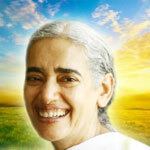 Sister Jayanti is the European Director of the Brahma Kumaris World Spiritual University and their NGO Representative to the United Nations, Geneva. She has been an emissary for peace for over 40 years, travelling extensively as a speaker and broadcaster. She has contributed to the interfaith movement for over 35 years, presenting at many events including the Parliament of the World’s Religions and most recently at the Durban Interfaith Rally on Climate Justice held at the start of COP17. Sister Jayanti heads the BK delegations to the current series of UN Climate Change conferences. 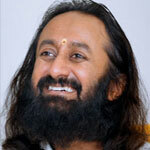 Sri Sri Ravi Shankar has inspired numerous educational and charitable organizations around the globe. 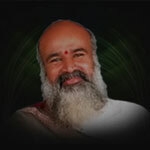 He established the Art of Living Foundation in 1982 to promote self-development and health-related educational programs, many of which feature his Sudarshan Kriya technique. To date, his programs have been enjoyed by more than a million people in more than 100 countries. Sri Sri Ravi Sankar has served on the advisory board of Yale University’s School of Divinity and chaired the International Conference of Religions at Kyoto, Japan. Bhai Sahib is third in line of Spiritual Leaders of Guru Nanak Nishkam Sewak Jatha (Birmingham) UK since 1995. GNNSJ is a religious charitable organisation with sister organisations in Leeds and London and branches in India and Kenya. 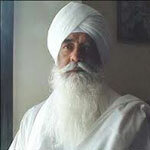 Having executed several conservation and restoration projects of sacred Sikh shrines in India, he is the first British Sikh to be bestowed upon the title of ‘Bhai Sahib’ in June 2010 by the Jathedars of the five Takhats (seats of Sikh temporal/religious authority – Miri-Piri) of the Sikh Dharam, as well as the President of the Shiromani Gurudwara Parbandhak Committee – an ‘apex’ organisation representing some 24 million Sikhs globally. In the interfaith context, Bhai Sahib is a member of the Elijah Board of the World’s Religious Leaders and European Council of Religious Leaders; Trustee of Religions for Peace International and President of Religions for Peace UK; supporter of the Council for a Parliament of the World’s Religions; Trustee and Chair of the Museum of World’s Religions (UK) working group; and patron of United Religions Initiative (UK) and Divine Onkar Mission. Bhai Sahib received the Juliet Hollister Award from the Temple of Understanding in 2010 for intra- and interfaith work internationally. In 2012, he received a Papal Knighthood of St Gregory the Great from Pope Benedict XVI. For his services to religious faith propagation, community service, education and research, Bhai Sahib has two honorary doctorates from Birmingham’s Universities. He also serves as Patron of the Nishkam School Trust which is pioneering multifaith values based education. His Holiness Sri Sri Sugunendra Theertha Swamiji is the youngest ever swamiji to ascend the Paryaaya Peetam in Udupi and the author of many books on religion and philosophy. The Swamiji has set up a world-wide Maadhwa Sangha for the propagation of spirituality named Vishwa Maadhwa Sangha. He is dedicated to the eradication of unemployment and has founded “Suyoga,” an institution that imparts training in the rudiments of selected vocations. 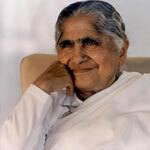 Dadi Janki, retired from the Elijah Board of World Religious Leaders, is Administrative Head of the Brahama Kumari movement. 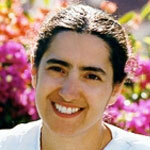 She has traveled to the Brahma Kumaris centers in all 70 countries. For about four months each year she lives in Mt. Abu at the University’s world headquarters and for the other eight months she works out of its International Coordinating Office in London. Even now at the age of 90, Dadi Janki refuses to set limits and boundaries as to what is achievable. Well versed in both Eastern and Western philosophies, Guruji Sri Rishi Prabhakar was a silent meditator with a large number of disciples. His fundamental instruction ‘Siddha Samadhi Yoga’, (SSY) was made available to thousands of people around India by teachers trained by him. 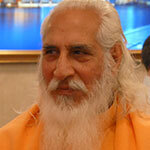 Rishi Prabhakar was an esteemed member of the Elijah Board of World Religious Leaders. He was actively involved with development in the Karnataka region and was successful in eliminating tobacco and alcohol addiction from several villages. He passed away in 2014. Sadhvi Bhagawati, who has a Ph.D in psychology, took official vows of renunciation in 2000, from her guru Swami Chidanand Saraswatiji Maharaj. She teaches meditation to seekers from every corner of the globe and also counsels people who come looking for answers and guidance. Furhtermore, Sadhvi Bhagawati is the International Director of Youth Education Services, a charitable program that sponsors and runs free schools, women’s vocational training programs and orphanages/gurukuls in India, and the Managing Editor for the Encyclopedia of Hinduism. Sister Maureen is the Programme Director of the Brahma Kumaris World Spiritual University, UK and the Brahma Kumaris NGO representative to the UN in Vienna. She has served on several committees for interreligious dialogue including the World Congress of Faiths Executive and the Prince’s Trust Forum of Faiths. 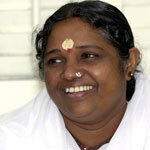 She travels widely conducting seminars and lectures on spiritual development. Dr. Shrikant Jichkar holds 20 post-graduate University degrees. In 1980, as the youngest member ever, he was elected Member of Legislative Assembly (MLA) and subsequently became a powerful Minister with fourteen portfolios. Jichkar has served as a Member of the Indian Parliament (MP) and is President of the Marathi Encyclopedia Production Board. He is one of the great ritualists in India and an Agnihotri, one who continuously maintains the three sacred Vedic fires. He previously served on the Elijah Board of World Religious Leaders. 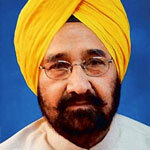 S. Harmohinder Singh is reader in History at the University of Delhi. He has been teaching since 1975 and is considered an expert in Modern Indian History. Singh has been actively involved in the affairs of the Delhi Sikh Gurudwara Management Committee, which manages the historical Gurudwaras of Delhi and runs a large number of public schools, colleges, and hospitals. 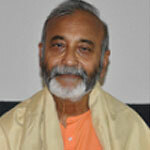 Swami Swatantranand was born on December 15th, 1950 in Itawa Uttherpradesh (India). He completed his studies at Kanpur University in 1974. He has traveled with J.P. Narayan as a social reformer in North India and was active in establishing peace initiatives in Punjab. 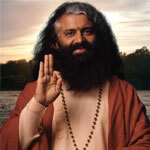 Swamiji has established an ashram at Rishikesh named Swatantrananda ashram. He travels all around the world giving discourses on Veda, Bhagawatam and Upanishad.